This is the only photo that I know of that shows this stencil 'Hier aufbocken - Nur mit leeren Behalter' (Jack here - Only with empty tanks). Very noticable are spots over the screws holding the skid bay's sheet metal. The color photos show that those spots are red (red oxide primer possibly). This makes two options likely: either dabs of primer paint was painted over the screws to prevent corrosion, or corrosion made the overcoat peel off, revealing the primer. The appearance of the spots suggest the former. The gun port appears to have been taped over originally (a common thing), but removed by curious post-war researchers (equally common). Of note too is the discolored lower gun bay fairing. 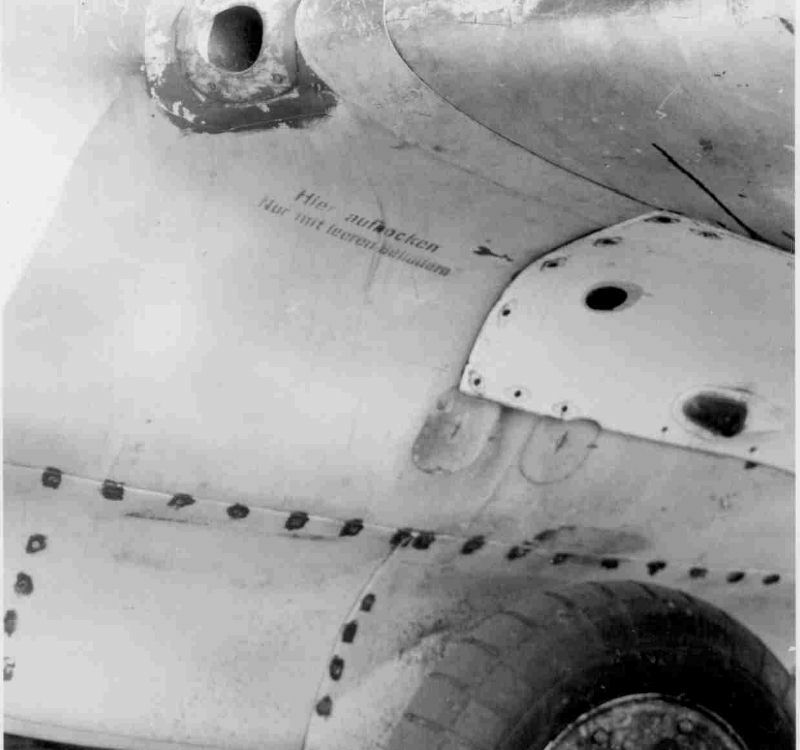 Lastly, the tire has grooves, something only seen on the Duxford Komet too.